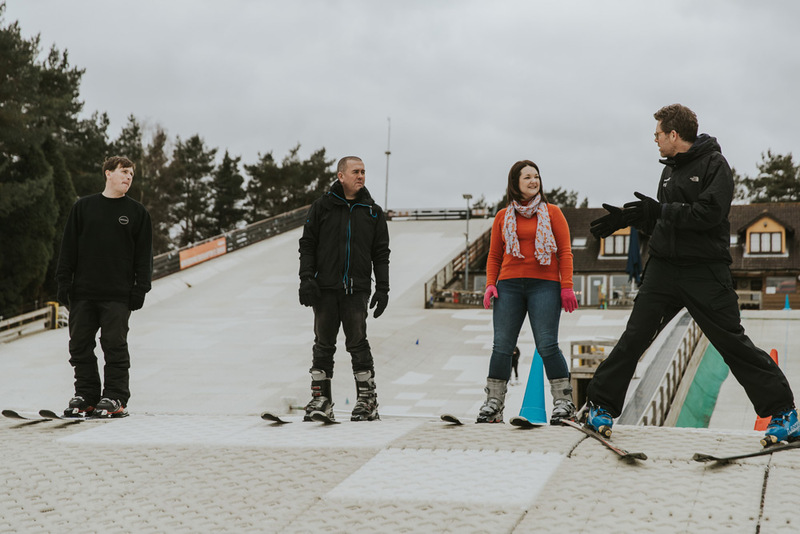 Group ski lessons are a fun way to learn with other skiers of a similar standard. 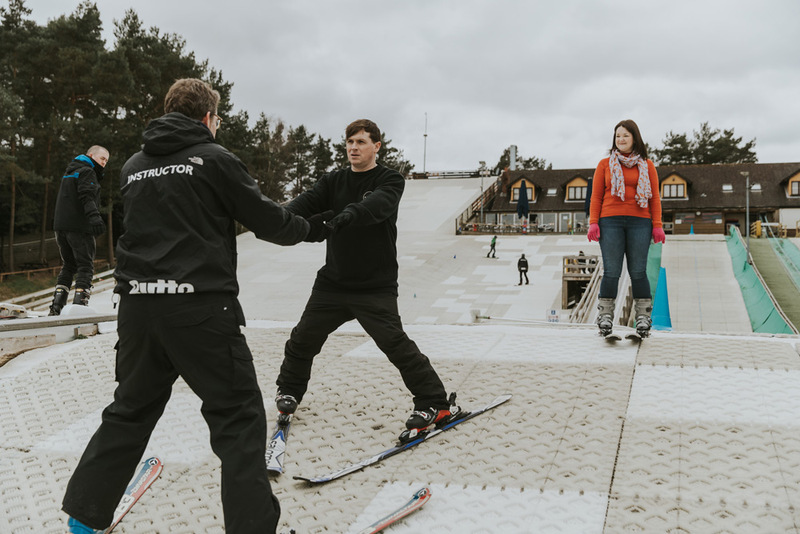 Suitable from Novice to Expert, our professional instructors will help you develop your skills & enhance your enjoyment of the sport. 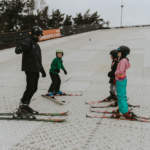 Group ski lessons have a maximum class size of 8 participants. 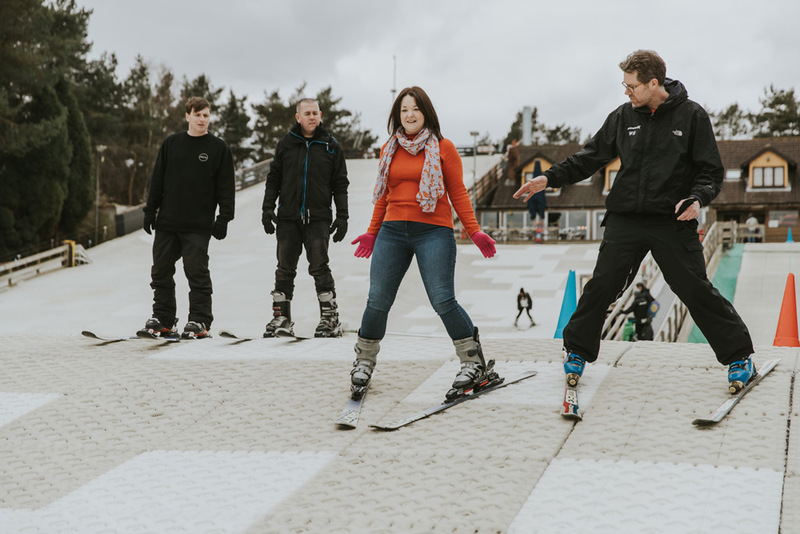 All of our lessons are 45 minutes duration, which includes a short safety briefing before heading out onto the slopes. 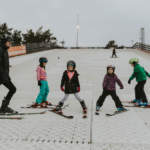 The minimum age for our group ski lessons is 8 years old. 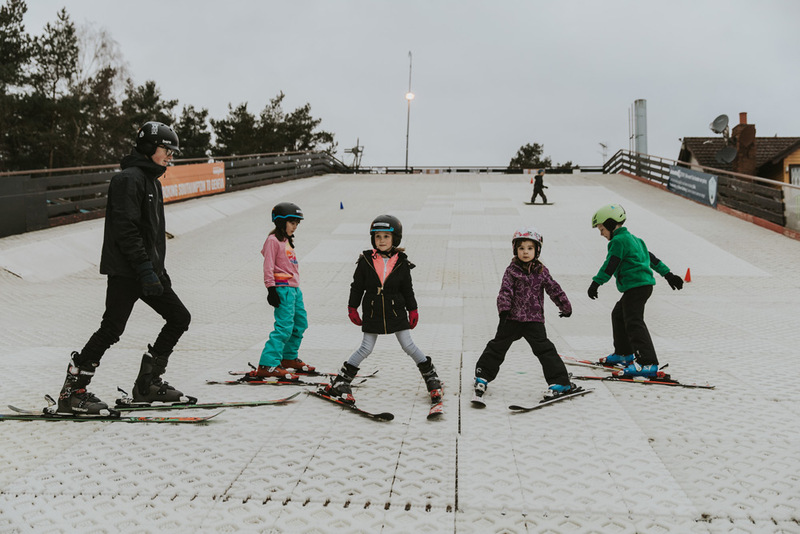 We also run our very popular Alpine Stars Ski School for 3-16 year olds. Please see our section on Kids Lessons for details. Please find below a schedule for the group lessons we run. If you wish to start a course of lessons then they begin every two weeks. Please contact a member of staff to find out the next start date. Please see the level descriptions under ‘Ability Levels’ below to work out which group would suit your ability. You’ll need to carefully select your ability level before making your booking, if you’re not sure then please enquire at the time of booking. Being on a lesson of the correct standard will greatly enhance your enjoyment of the lesson. 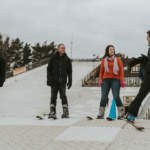 Level 1 – Introduction of equipment, introduction to ski way code, walking on flat, side stepping up, exercises on flat, straight running (schussing), exercises for balancing, all from low level, introduction of plough gliding. 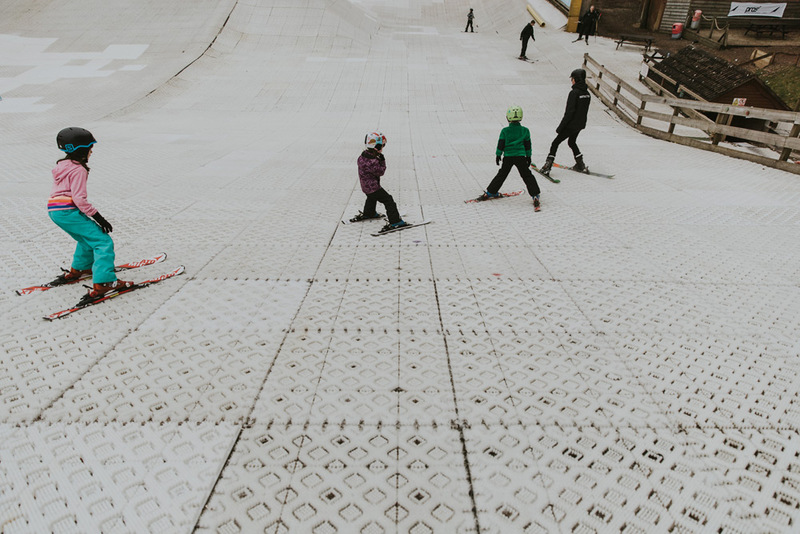 Level 2 – Plough gliding, straight running, slope manoeuves, ski way code, climbing up, side stepping, herringbone climbing, plough variation, moving around on slope, varying speed in plough in the fall line, introduction to lift, exiting ski lift. Level 3 – Plough variation, plough braking, schussing, ski way code, improving lift technique, stopping at markers, introduction of plough steering, ploughing around markers, cones etc. Level 4 – Ploughing, stopping, breaking, steering, ski way code, all the above from 3rd bump, variety of plough turns. 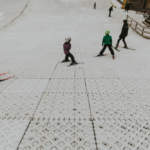 Level 5 – Accurate ploughing, all types of steering, in plough, ski way code, introduction of plough parallel, exercises to improve plough parallel, plough swings starting in the fall line, exercises in the fall line, working towards top of main slope. 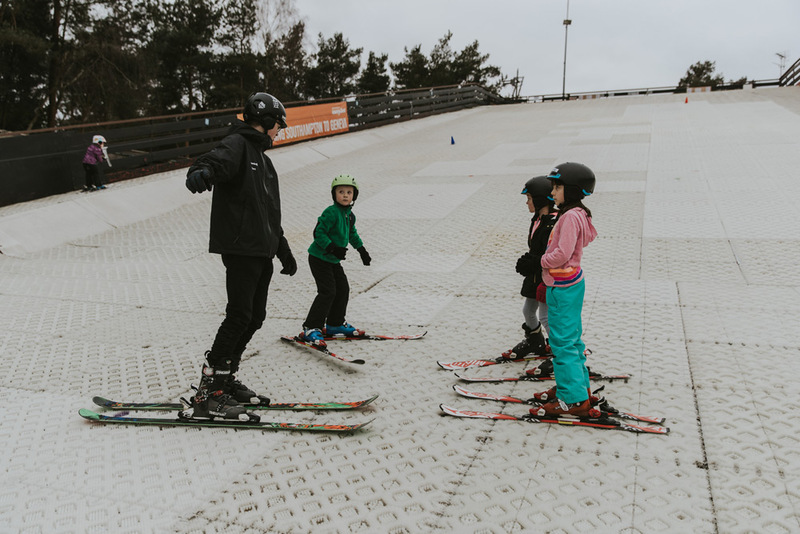 Level 6 – Plough parallel and all content from level 1-5, ski way code, introduction of new exercises to improve skill level and performance, exercises to promote quality plough parallel steering.